This weekend I’m playing a water polo tournament. 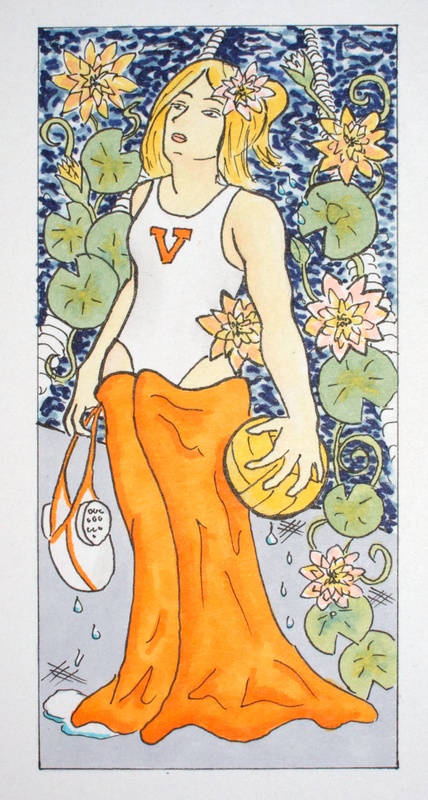 When I’m not playing, I like to do a little polo-themed art. 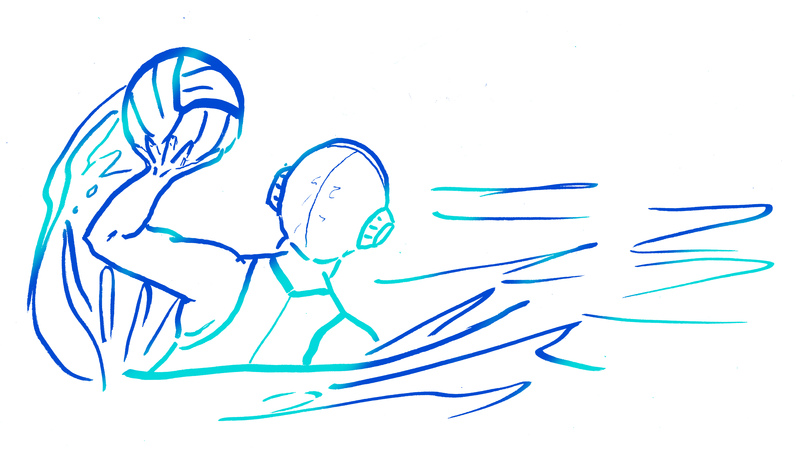 I love day-dreaming about playing, and sketching the lines of motion put me right in the water too. When I’m not playing, I also love to photograph the games. In the split seconds, you see parts of the game that disappear at full speed. 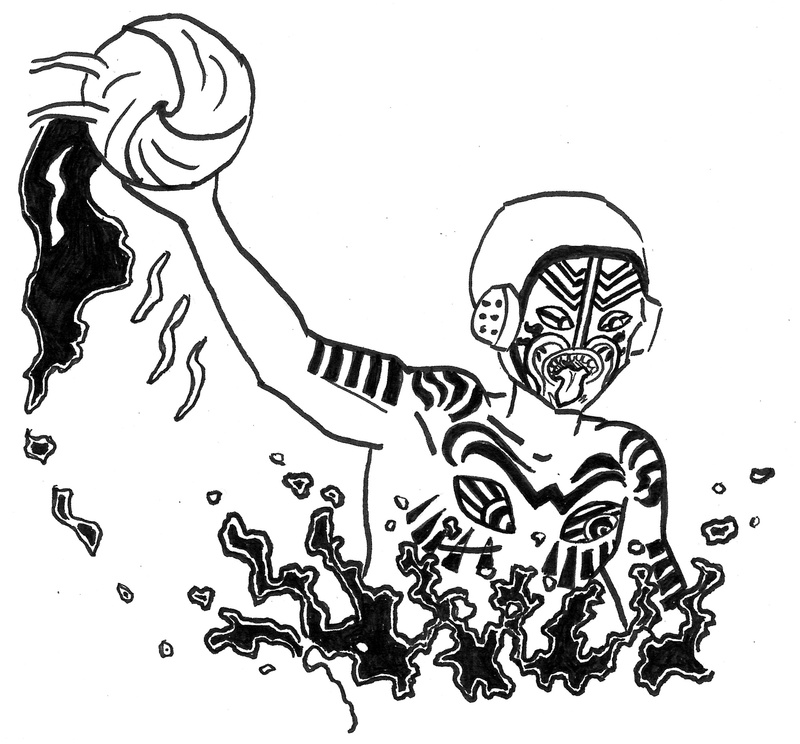 Plus, there is not a great deal of water polo art, besides that destined for t-shirts. Maybe I can share some of the beauty I see in the game. 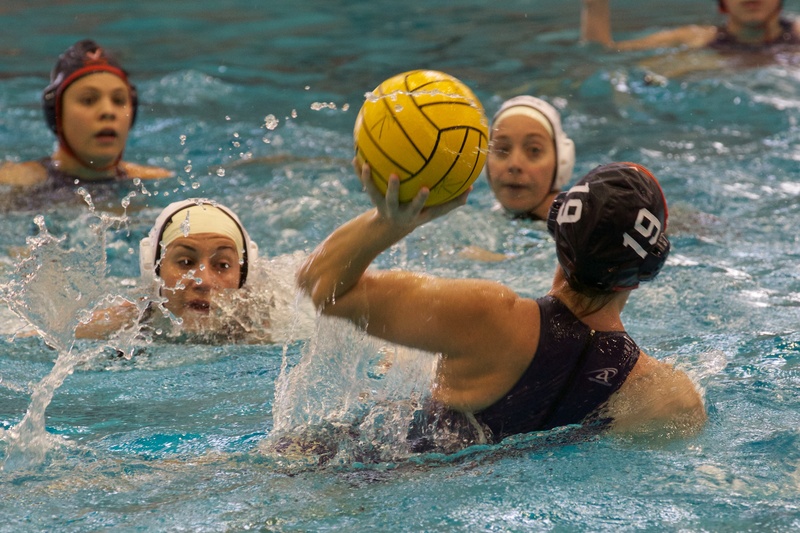 The backhand shot in water polo, taken from the offensive center position. The offensive center treads 2m in front of the goal, facing away from the goal, with a defender behind. 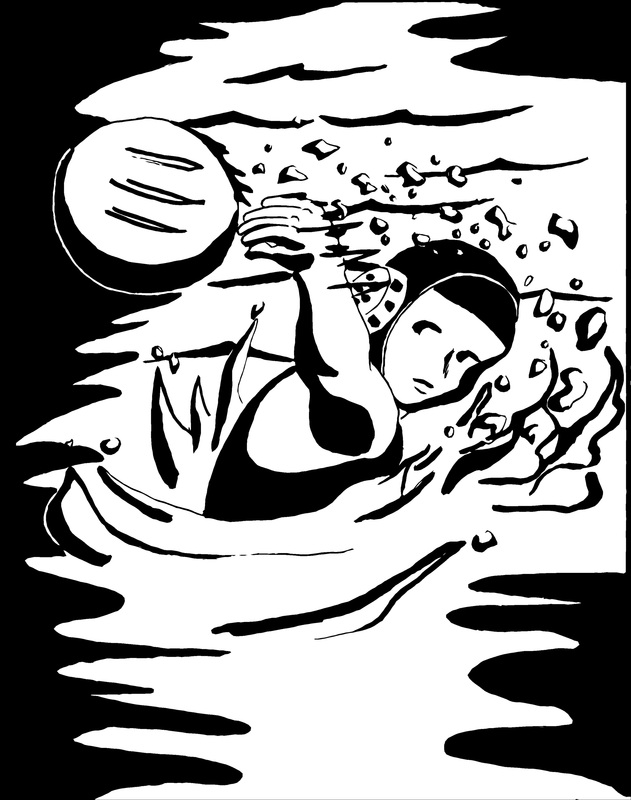 This entry was posted in Illustration, Photography and tagged action photography, bodies in motion, drawing, photography, portrait, sports, sports photography, water polo, water polo art, water polo photography, water sport on February 22, 2013 by Vironevaeh.